Benjamin Goldstein is a postdoctoral research fellow at the University of Michigan, School for Environment and Sustainability’s Erb Institute. He is a multi-disciplinary engineer concerned with the environmental impacts of urban consumption, both within the city and beyond. His research uses an array of tools from industrial ecology and geography, alongside theory from political ecology, economic geography and sociology to simultaneously quantify environmental outcomes and reveal the drivers behind those outcomes. His current work develops novel ways to identify hotspots of environmental change in production systems and to identify the corporate actors coordinating their activities to form supply chains. Benjamin’s research domains include agroforestry products in Southeast Asia, livestock production systems in North and Central America, and the urban centers that drive the demand for these and other products. In his previous research, he developed novel methods to environmentally footprint cities, expanding on these in his dissertation work to explore the environmental outcomes of urban agriculture expansion in Boston. Benjamin has published in Environmental Science & Technology, Environmental Research Letters, PLoS ONE and Current Opinions on Environmental Sustainability, amongst other journals, and his research has seen media coverage by Bloomberg Technology and Seeker (Discovery Channel). 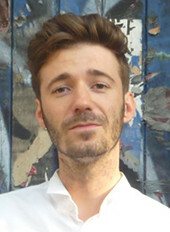 Benjamin’s research interests include: Political Industrial Ecology; Urban Metabolism; Urban Political Ecology; Urban Design; Urban and Regional Food Systems; and Industrial Ecology. 2018 Ph.D., Department of Geography. University of the Aegean. 2012 M.Sc., Applied Geo-Informatics in Environmental and Risk Management. University of the Aegean. 2009 B.A.Sc., Forestry and Management of the Natural Environment. Eastern Macedonia and Thrace Institute of Technology (EMaTTech). Dimitris Gounaridis is a Postdoctoral Research Fellow at the School for Environment and Sustainability (SEAS), University of Michigan, Ann Arbor. Dimitris recieved a PhD from the Department of Geography, University of the Aegean. His PhD thesis concerned mutli-scale simulation modeling of Land Use/Cover changes. He has a background in Forestry (BSc) and applied Geo-Informatics (MSc). So far, he has been involved in various interdisciplinary researh groups in subjects related to earth observation, change detection, spatial analysis, data fusion, simulation modeling and scenario-based land use assessment. Dimitris has published in Computers Environment and Urban Systems; Journal of Maps; International Journal of Applied Earth Observation and Geoinformation; Applied Geography; Remote Sensing and Science of the Total Environment among other journals. His main research interests span theoretical and applied aspects of Land Use/Cover changes, the interplay of proximate and underlying driving forces, the multiple scales involved and the role along with the effectiveness of planning and policy. 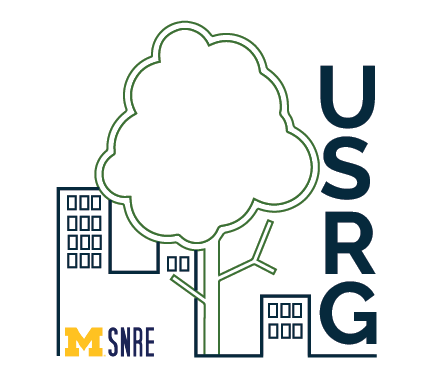 His current work at the Urban Sustainability Research Group focuses on a) modeling of food-energy-water nexus of urban agriculture across multiple scales and b) spatial analysis of urban meat production-consumption patterns and dynamics.